This weekend is a gardening weekend. There are works that need to be done as soon as possible if we want to get fruits and vegetables this year. The weather is nice, it's warming up slowly. At the moment of writing it's sunny and 12°C outside, which is perfect for outdoor activities. So far I've managed to clean the raspberries. The stems need to be cut each year to help the growing and the old stems that are no longer good, need to be cut out and clean the place. In the meantime seeds are planted inside and waiting for them to grow and get strong to be planted outside. My black tulips are growing nicely. I have no idea how much time they need to bloom, I'm guessing there will be passing at least two months till I can see the results. This is the onion flower which is very funny. I planted some bulbs last year in March and got nothing out of them. This year they started to grow. Nature can be funny sometimes. 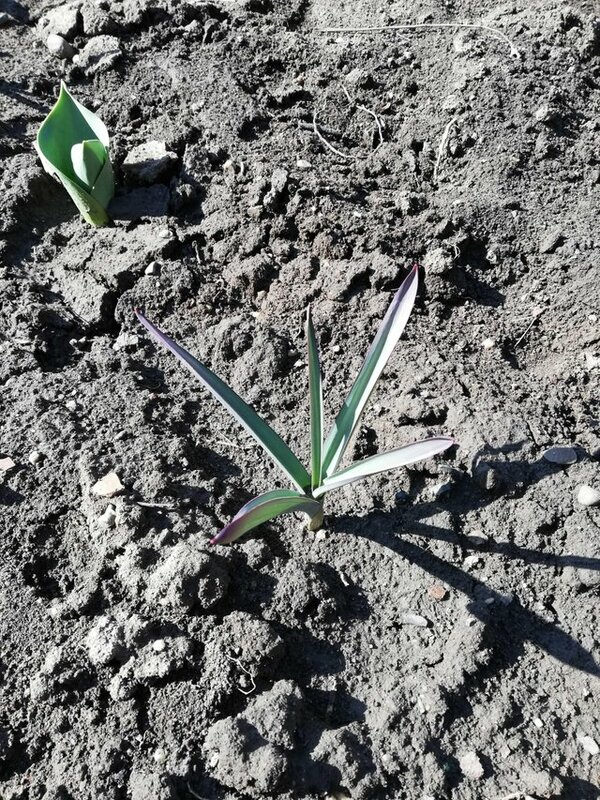 Keep us updated on the tulips and onion flower. It is definitely growing this year! Just be patient, I'm sure spring is just around the corner, winter can't last forever. Stay tuned, I'm going to post about gardening often. Yay, can't wait to see all the updates as everything starts to grow! Yes, black tulips. I'm going to post photos as soon as they start to bloom. Yes, it's spring here and the weather is good enough to start working in the garden. Thanks for stopping by. You are welcome @erikah. Sorry for late response. Have good day and keep in fresh. 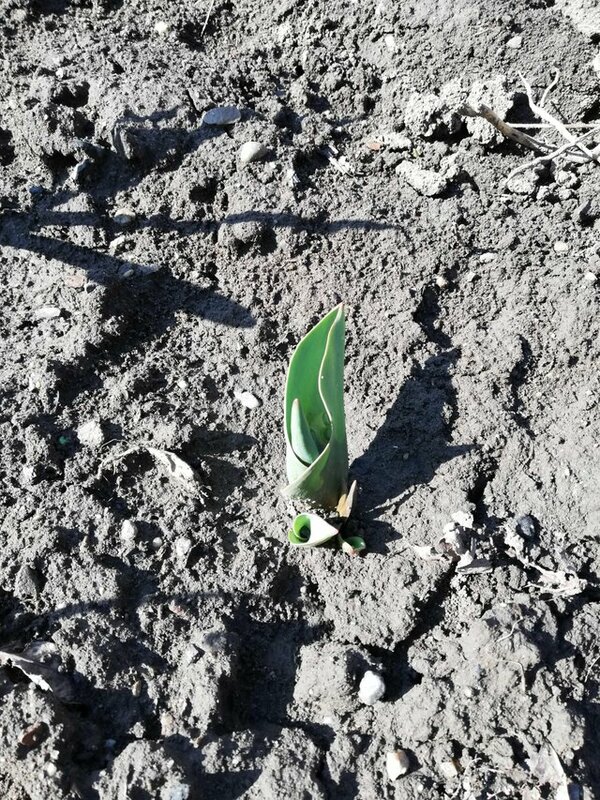 Yeap, the tulips are growing nicely. Are the real black tulips or the dark purple ones? That remains to be seen, you know how it is, they tell you one thing that turns to be another in fact. I guess there are no black tulips, only very dark purple ones. They look black when they start to bloom but then the colour changes. We'll see. The darkest "black" tulip is a breed called Paul Scherer and it's actually a very dark purple. Indeed, there are no black flowers (as far as I know) but these dark shades of purple are really spectacular. Fingers crossed for a nice color and shape. Your first homegrown tulip must be exquisite, despite the color. I have like a gazillion tulips in my garden. Red, yellow, white, purple, different color mixes. Let's hope so. 😯 How can someone not like tulips?